What Should Yacht Crew Look for in a New Position? Ever wanted to work on a yacht? Being part of a yacht crew can be a fulfilling career experience. Getting to travel the world, sail the open seas and meet new people, are just a few of the many benefits of joining a yacht crew. From first glance, it seems like a no brainer, this profession may be one of the best career paths you can choose. However, there are further assessments one must take when looking into a new position. That goes for those who are looking to get into the profession, as well as those who are currently part of a crew that are looking to jump ship. Follow these tips to help you decide what you should be looking for in a new yacht crew position. Have you ever heard the saying, “Cash is king!”? Making money in life is important, but it isn’t the only thing you should be focused on. Your happiness is as important as making money. Don’t let salary be your only motivator when looking at a new yacht crew position, or any job for that matter. For some, the itinerary of a yacht is an important dictator of whether they will want to fill a position on a certain yacht. There are parts of the world that some do not want to visit for personal reasons, and there are some who may have spent a large amount of time somewhere and want to see a different part of the world. Just remember that itineraries can easily change, so be flexible and consider all the factors before deciding. Depending on where you’re located, the yachting business can be very seasonal, with some parts of the year being busier than others. But just because it may be a seasonal industry, doesn’t mean you should be a seasonal worker. Yacht captains like to hire individuals who have proven longevity and commitment. If you are looking for a seasonal job, you may need to look elsewhere. Working as part of a yacht crew is more than just a job, it’s a lifestyle. Being away from family for months at a time and living in close quarters with others for long periods is not for everyone. It’s clear to see how it may be taxing for those who are not fully committed. There is a lot to be sacrificed, however the rewards can be well worth it. Sometimes, the benefits that are offered by a job can be just as important as the income. That is because those benefits will have a variety of different coverages depending on the program the yacht has for the crew. 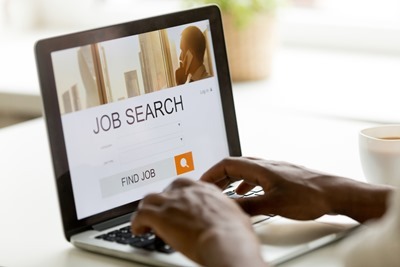 When looking at a new position, you must try to make it a priority to review benefits such as health insurance coverage, disability insurance, life insurance, etc. That’s just one area where MHG is here to help! Having proper insurance is important whether you are at sea, or docked at a shipyard. MHG is your specialized broker when it comes to crew insurance. Our insurance specialists have the knowledge and experience to find the policy that works best for you. If you are interested in purchasing, or have any questions about yacht crew insurance or travel insurance, please contact us at +1 954 828 1819 or +44 (0) 1624 678668 or visit us online at mhginsurance.com.